Social location is a concept that is often introduced at the beginning of introductory courses in sociology. It helps students who are new to the field of sociology begin to understand the relationship between the course content and their own lives and social experiences. Social location is defined as the social position an individual holds within their society and is based upon social characteristics deemed to be important by any given society. Some of the social characteristics deemed to be important by U.S. society include social class position, gender, sexual orientation, ethnicity, race, religion and so on. Sociologists argue that the social location of an individual profoundly influences who they are and who they become, interactions with others, self-perception, opportunities and outcomes. However, there were a few foods I encountered that I didn’t try. 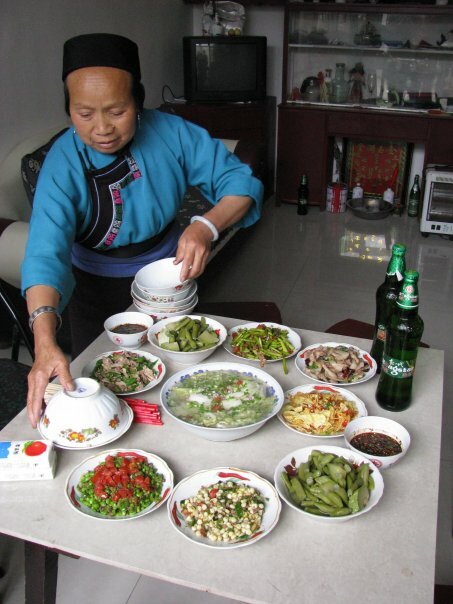 In villages north of Beijing there are many donkey meat restaurants and in Southern China, dog meat restaurants are common and you can also buy dog meat at the open air markets, along with pork, tofu, fish, chicken and other birds. 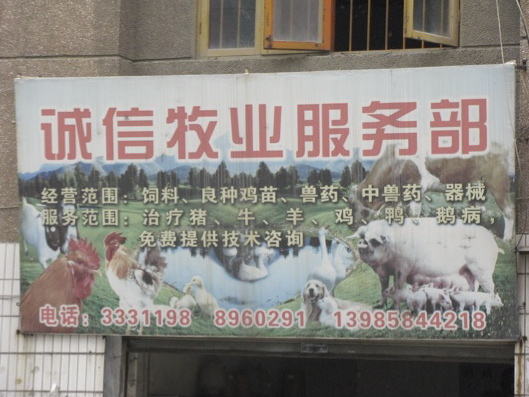 Here’s a restaurant sign, which advertises the different types of meat available in the dishes sold there (notice the golden retriever at the bottom). Having worked at the Humane Society for years and knowing what becomes of unwanted animals in the U.S., the thought of eating dog meat didn’t disturb me. However, there were other tourists from the U.S. that I observed who were very upset about the notion of dining on this type of meat. Some of their reactions were quite ethnocentric, such as making proclamations out loud opposing the sale of dog meat and refusal to enter into any markets selling dog meat. Ethnocentrism is a reaction to cultural differences where we are intolerant of these differences and judge the differences from our own cultural perspective. If these individuals had been raised in southern China, I’m sure they’d gladly eat dog meat, as it is a good, inexpensive source of protein, and it is a cultural norm. Another example of food from this trip that reminded me of how culturally bound we are, was the selection of snacks available at the Wangfujing Snack Street in Beijing. 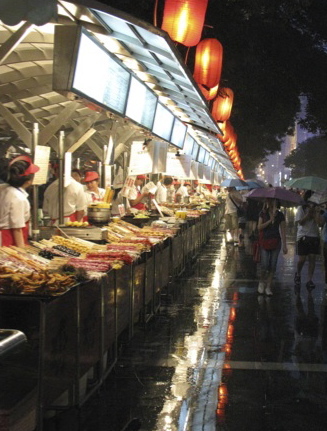 Each evening on Wangfujing Street, the snack vendors set up in a long row of open air stalls, selling quick and cheap eats to the throngs of people who go to this popular shopping district. The vendors sell meat or tofu skewers, stir fries, soups, candied apples, and such. 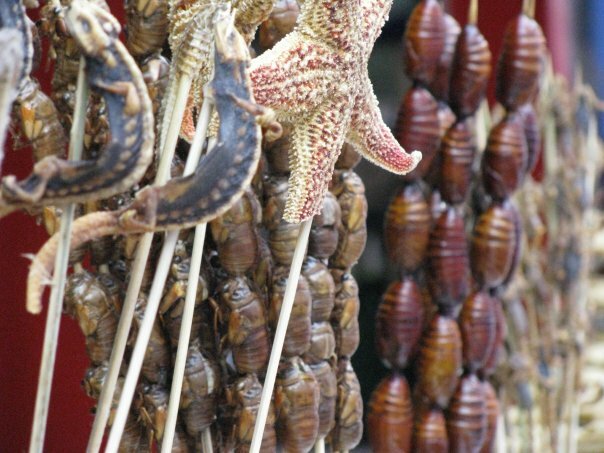 A number of the vendors selling skewers, in addition to meat and tofu skewers, sell silk worm pupae, starfish, gecko, seahorse, scorpion, grasshopper, and other insect skewers. Now, I must admit, that while I found this interesting, the thought of eating these foods was not appealing to me (I stuck with the tofu skewers). My national cuisine doesn’t involve the intentional eating of insects, thus my social location influenced my food choices and desires. About 60% of the world’s population eat insects, which are a readily available source of quality protein. But, having grown up in the U.S., where insects for the most part are not a part of our culinary culture, I was not at all delighted at the thought of munching down on these snacks. 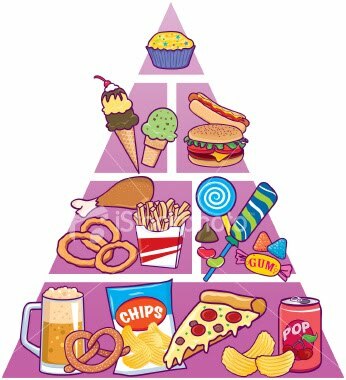 However, I also recognize some of the problems with the U.S. food pyramid. Maybe it’s time for those of us in non-insect eating cultures to get over our phobia. Insects are touted by some as the answer to the global food crisis, being a less energy intensive way to gain access to a high protein food source. However, in order to do this, we non-insect eating cultures must change how we perceive these foods. How is this accomplished? One answer, promoted by Dutch scientist Arnold van Huis, is to offer food tastings and cooking classes integrating insects into the menu. Here is a blog entry discussing how one of these events went: eating bugs to save the planet. If we expanded our diet to include insects, our food repertoire would be much richer. In her “Girl Meets Bug” blog, Daniella Martin lists 38 insects that are readily available to and edible by humans: edible insects. She also includes some tasty looking recipes. Cricket stir fry or Bee-LT anyone?